Fixing Humidity Problems in Your Home | Quinnair Heating & Air Conditioning Inc. If you ever step into your home and it feels sticky or clammy, and at night sleep seems impossible, then you have a humidity problem. Often, homeowners manage high indoor humidity either with their central air system or room dehumidifiers. While these methods can both be effective ways of controlling humidity, they have their drawbacks. Fortunately, a whole-house dehumidifier reduces moisture, fixing the humidity problem that makes your home feels stuffy. When to Install a Dehumidifier? Because a dehumidifier lowers the humidity indoors, mold and mildew are significantly reduced. Thus, allergies associated with these factors are less prone to happen. To keep allergies at bay, your home humidity should be between 30-50%. Allergens aren’t the only uninvited things attracted to moist environments. Many household pests look for humid spaces to live. A dehumidifier may help discourage them from establishing in your home. A whole-house dehumidifier can help you save energy and money over time. As moisture diminishes in your home, it will reduce the strain on you’re A/C system, which will translate into energy savings, while making your home feel cooler. 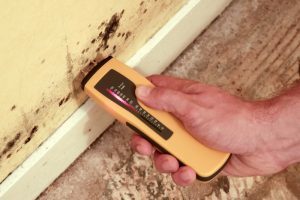 Furthermore, you won’t have to spend extra cash on home repair bills or health-related expenses if excessive moisture compromises the structure of your home or makes family members sick. Ask Quinnair HVAC specialist about a whole-house dehumidifier. Call us at 303-980-3788 to learn more about devices that can reduce the humidity in your Colorado home.